When you look at the bare minimum of type of decks in Kaijudo, there are three that stand out the most. They are Control, Aggro, and Rush. These deck types represent a sort of triangle in the game that keeps them all in check. They work similar to how the U.S. government was meant to work. Control beats Aggro, Aggro beats Rush, and Rush beats Control. When deciding which type of deck you want to build it is your job as a player to figure out how to make your bad match up a good one. The only exception to this rule might be for rush but I will talk more about that later. 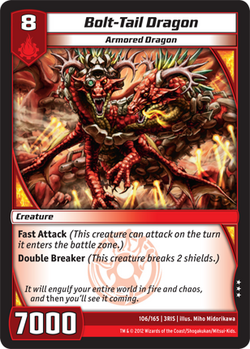 When playing Kaijudo you have to keep in mind it is not just about you playing your deck, it is about playing against your opponent’s deck. Pay attention to what they put into manna and once you get a good idea of what they are using, start trying to play around cards you think they might have and make decisions based off what they have used or have not used. You are going to have to take all these ideas into consideration when building your deck for the ARG Circuit Series and Kaijudo Master Challenges. Let’s look at the three main basic deck types and talk about the strategy you should have while building these decks. This deck probably has the least amount of flexibility when it comes to using cards against bad match-ups. If you want to build rush you need to design it like a clock. The best time to aim for is turn 5. It is very crucial that you win by turn 5 because after that, it gives your opponent the opportunity to utilize cards with higher mana cost that are really good against rush, such as Lyra, the Blazing Sun and Grand Gure. When building the thing you need to worry least about putting in the deck are shield blasts. You need to view your shields as a drawing resource as oppose to a defensive one. If your opponent wants to break your shields that will only help you out by giving you more options. 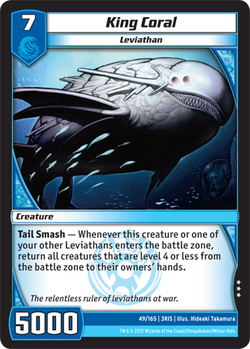 Choosing cards like Heat Seekers over Rock Bite will be a game changer because being able to use less mana will help you in the long run. In most rush decks you are going to want to untap with 5 mana, meaning you really are never going to need more than 5 mana to use any card in your deck. After turn 5 you may still have a good shot at winning but if they reach turn 9 and get to play Andromeda the Citadel or Infernus the Awakened you are going to be in trouble. This is why I rarely will use this deck because I do not want to use a deck that will just lose once my opponent is able to play a certain creature. If you are able to build the deck right though and make it consistently fast I say go for it. I will definitely revisit this type of deck after Shattered Alliances comes out on September 13th. Aggro is a popular choice because if you build it right, it can have a good match-up against everything. The key to Aggro is to be aggressive enough to out pressure control but defensive enough to stop Rush or other Aggro decks. This deck is like rush expect it has answers and can survive late game. The best example of a deck like this is Megabugs. Megabugs have enough early game to compete and counter rush as well as mid-range/late game with The Hive Queen to beat control. This is a deck that probably would have seen more play at the Championship if so many people were not playing Dragons. Another version of a popular Aggro deck is Dark Saber-Bolt. The purpose of this deck is to ramp up into Skull Shatter and then use fast attackers to finish off your opponent. Andromeda does not hurt this deck as much because it is able to use Double Breaking fast attackers such as Bolt-Tail Dragon and Billion Degree dragon to just break the 2 new shields that Andromeda replaces. My brother used this deck at one of the first KMC’s and beat many Andromeda decks with it. It is all about finding the right amount of cards to help balance early game and late game. Using cards like Death Smoke or Toxic Fog would work well in some Aggro decks because they are low costing spells that deal with early and late game. This is probably one of the most complicated and consistent deck types in Kaijudo. 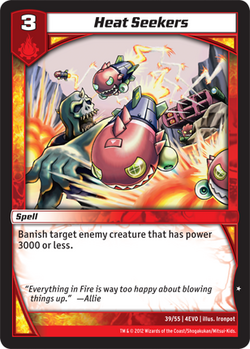 This is deck I normally lean towards because I do not like hoping my opponent does not have amazing shield blasts. You have to be very careful how you build it though and make important choices. I used this deck at the Championship and designed it to beat the mirror as well as Aggro. I thought I was also favorable against rush but that ended up being my one loss in the tournament despite my best efforts. I did beat 2 other rush decks though, so 2/3 is a lot better than 0/3. I saw a weakness in the deck and used cards like Toxic Fog, King Coral, Fumes, and Wave Lancer, which all played a very important role against my rush match ups. I decided not to use draw cards such as Logos Scan because I was relying on Keeper of Laws as my draw engine in the mirror. Draw cards are also pretty bad against Rush/Aggro match ups because they give you cards by breaking your shields anyway. Playing control is more than just using as many big creatures as you can, it is about giving your opponent as few options as possible. That goes for every type of deck. Keeping these tips in mind will help you be good against 3 match ups as oppose to great against 2 and terrible against 1. This was just a brief introduction into deck building for Kaijudo. It is important to see what people are playing and try to exploit it as much as you can. What’s the list for your brother’s saberbolt deck?